Type your email and hit Submit. A brief message tells you to check your email. 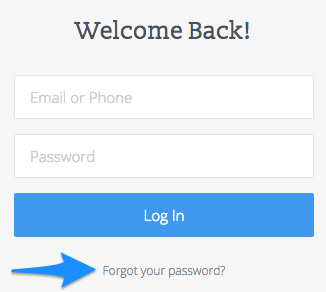 In your email account, look for an email from RaiseMe and click the Reset Password button in the email. 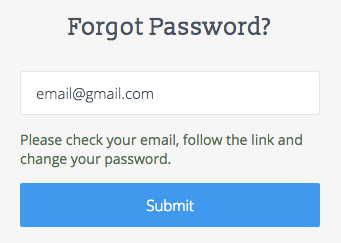 You'll be brought to the site and asked to change your password, then log in with your email and new password. Did you definitely use the email attached to your account? If there are other emails it could be, try those as well! Still not there? Contact us! If you can use your phone number instead, try that! Otherwise, contact us and tell us: your full name, your previous email, the new email, and a phone number you can be reached at.